Let's Smash the Grass Ceiling! 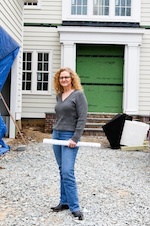 There can be no doubt that females working in the remodeling and building sectors are confronted by a distinct series of challenges. We spoke to some accomplished professional women to determine which factors they believe contributed most to their success. What got you started in the construction industry? My father was a builder by trade, so I was raised around construction projects. This was during the 1960s and 70s, so females were not a significant presence in the industry at the time. After finishing college, I was undecided as to my career path, so I did an apprenticeship with an area builder. That is how I began to learn about every facet of the residential building business. My mentor placed me on site at construction jobs and recommended courses at our local university. It was not terribly long until I realized that building was something I truly loved and that I wanted to continue doing. What would you say is an obstacle you have conquered? I would have to say that I have had to work hard to have confidence in my talents and know-how. A distinct recollection of mine has to do with being at a construction site when I was in my 20s and being asked by an inspector about how something had been installed. Though I was completely certain things had been done properly, I stated that I would check with my supervisor. Put in the same situation today, I would confidently respond that things were done right and that the burden to demonstrate otherwise was his. What have been the most pivotal skills in your rise to success? Being willing to accept my strengths and weaknesses has been key. On the positive side, I know I am capable of operational management and making sure things run smoothly. However, I am not necessarily the utmost authority on state-of-the-art construction methods and technologies. Therefore, I place great value in assembling a strong team comprised of members to whom I can freely delegate. 2. Angela Taylor, Co-owner, 24/7 Water Damage Atlanta, a water repair and damage restoration company headquartered in the north west of Atlanta in Georgia. Name a personal challenge you have been able to overcome. I would have to say that making people see that my insights have real value has been something I have had to fight to to successfully. It took time to demonstrate my knowledge and skill sets so that others would understand all that I have to offer. Which have been your most crucially important skills? My upbringing was not one in which I felt limited in my career options simply because I was female. Therefore, it has never been terribly difficult for me to speak my mind, even when surrounded by males with far more industry experience than my own. If I feel someone is minimizing my input because I am a woman, it is easy for me to simply make my point in a stronger, more authoritative voice than before in order to make certain I am heard. If you are timid when it comes to saying what you think in front of men, it will be almost impossible to achieve success in any industry primarily occupied by males. What do you suggest to other females within your industry sector? To those who are new in the business, make sure to gain experience working in administrative capacities as well as on actual construction sites. In fact, we were recently contacted by a young female high school graduate who was seeking an internship in the construction field. We engaged her services for the summer before she started college, and she was able to work in several 24/7 water damage Atlanta restoration and home water repair projects as well as in the administrative office, gaining invaluable exposure to what she sees as her future career. 3. 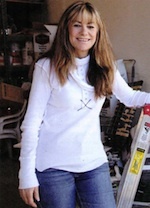 Beverly Kruskol, Owner of Los Angeles-based M.Y. Pacific Building, Inc.
Tell us about a challenge you have managed to overcome? Because ours is an industry overwhelmingly populated by men, there are times when contractors on our sites will approach one of my male staffers and assume that he owns the company. While I have come to accept this as an unfortunate reality, I make certain that the mistaken belief is immediately rectified. I feel comfortable in my own skin and in my own abilities. The key is to step into the fray with confidence and demonstrate your skills. What do you suggest to other females in your industry? Never feel a sense of intimidation or fear. Provided you are well-trained and have the necessary skills, you can do great things. There is no need to be overly-aggressive and too eager to prove yourself, but you should take initiative wherever possible. I have been able to add real diversification to our firm. We now encompass drywall, lacquer, electrical, Venetian plaster, carpentry, painting and more. Being a general contractor, it is been possible for me to hire highly qualified tradespeople who bring specialized expertise to what we do. Furthermore, I am proud of my company’s track record of winning repeat customers and a great deal of personal referral business. This has helped us thrive in what has otherwise been a very difficult economic environment.